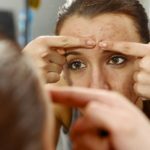 Home » Articles about our Treatments » What’s The Deal With Scabs, Anyway? We’ve all had scabs at some point or another in our life. We got a cut, had surgery, scratched ourselves, or something else. Either way, a scab has formed. And the younger you are the more likely you are to remove the scab. But the best thing to do is leave it. As tempting as it is, the scab is actually working hard at keeping your wound from getting infected. But let’s go back a little and talk about what a scab actually is. Cool? Picture this, it’s a beautiful Saturday afternoon and you’re out on a hike in Knox Mountain Park and a tree branch scratches your leg. No big deal, you keep going. But by the time you get to your car, you notice the blood has dried up and by the time you get home, the blood has already started forming a scab where the branch cut you. Immediately once the branch cut your leg, different types of blood cells swarmed the area by attacking any foreign bodies that may have entered (and could potentially create an infection) and by starting to create a scab to cover the area. Scabs are created when special blood cells called platelets which act like a sort of adhesive or glue to the affected area and form a clot. Similar to the blood clots that form inside your body (that are bad because they block blood from getting across them), these blood clots are actually good. By clotting, your blood is creating a protective barrier that prevents you from continuously bleeding and also prevents microbes from entering your body from the point of the cut. Blood clots are full of fibrin cells which is what keeps the clot together. Once the blood clot dries up (depending on the size it could take as little as minutes or as long as hours), this creates a scab. Scabs are usually dark red or brown (because it’s blood after all), and they appear to be crusty. 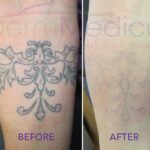 The job of the scab is to be a protective shield between the outside world and the cut so that the collagen in your skin can start to mend the cut skin. Just like the platelets, white blood cells arrive on scene when you first get cut to defend the area from any potential bacteria that may enter and cause infection. These white blood cells will attack any germs that managed to get into the cut, they remove any dead blood or dead skin cells that resulted from the cut. But don’t worry, when all is said and done, you’ll have a new layer of skin in that area. 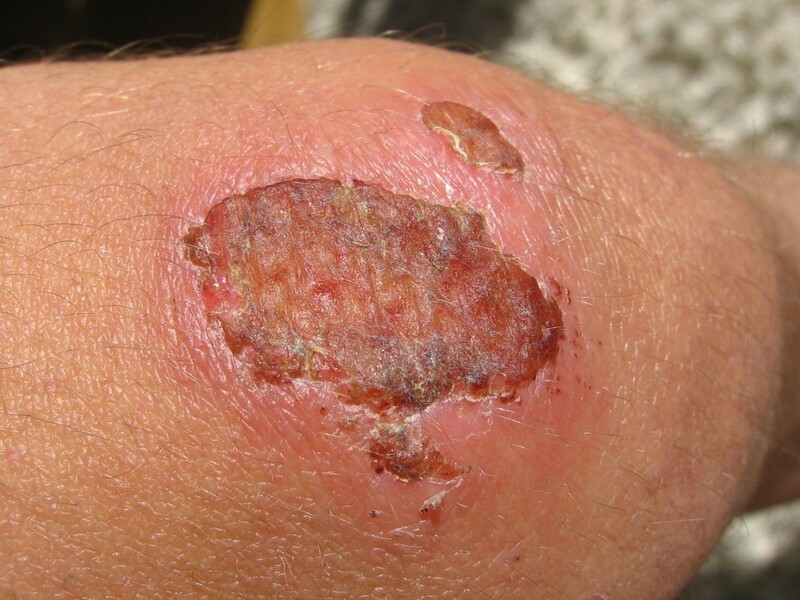 If you’ve managed to not pick off the scab, it will fall off on its own, revealing new, fresh skin in its place. Depending on the how badly you cut yourself, this can take a week or two, or possibly more.